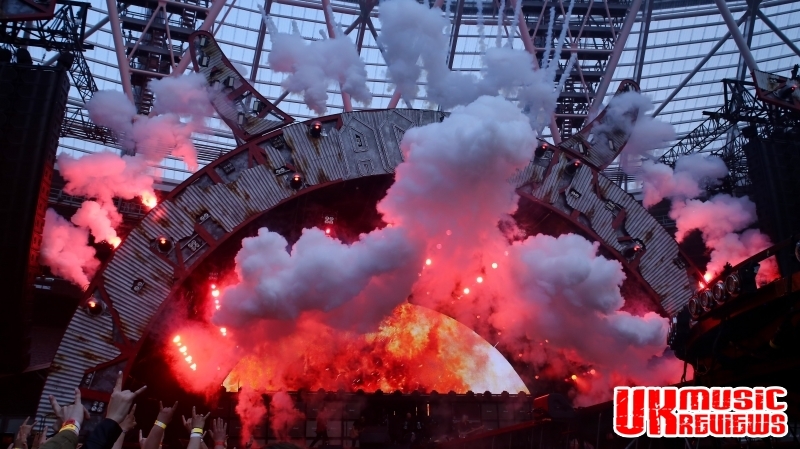 The once new guy on the block is now the old guy as AC/DC played the first ever gig at London’s Olympic Stadium last night for a spectacular show which featured pyrotechnics, flames, fireworks, giant cannons and Axl Rose. 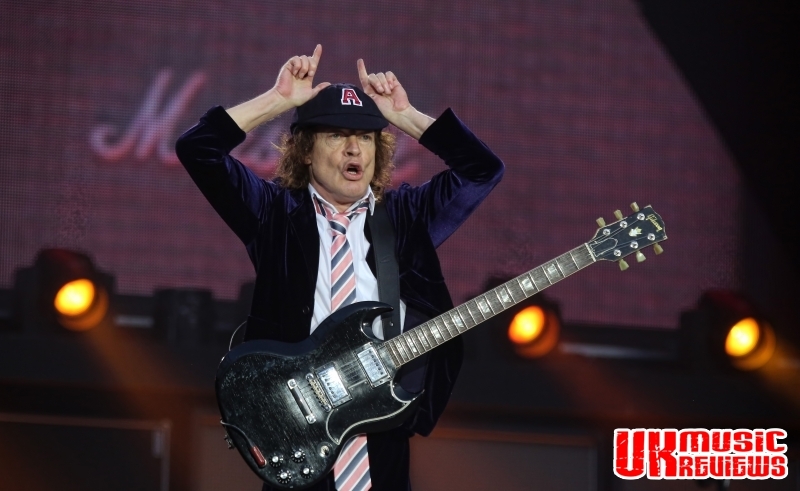 Rose’s arrival makes this show the first AC/DC gig in years, certainly since Brian Johnson replaced the late Bon Scott in 1980, at which no one knew exactly what to expect. But nearly 90,000 fans were curious enough to make the pilgrimage and they were pleasantly surprised. Coming on stage through clouds of smoke, he was no longer confined to a chair which he had been consigned too after recently breaking a bone in his foot. 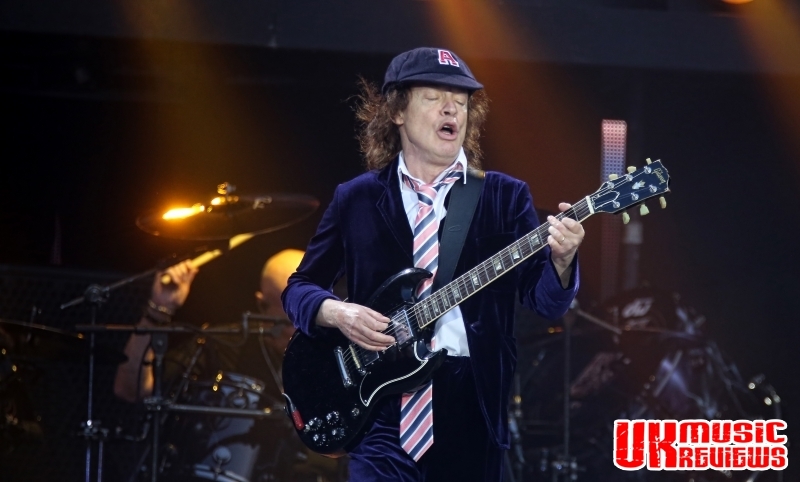 Instead he wore a special boot which allowed him to move around freely as he rattled through opener, Rock Or Bust. 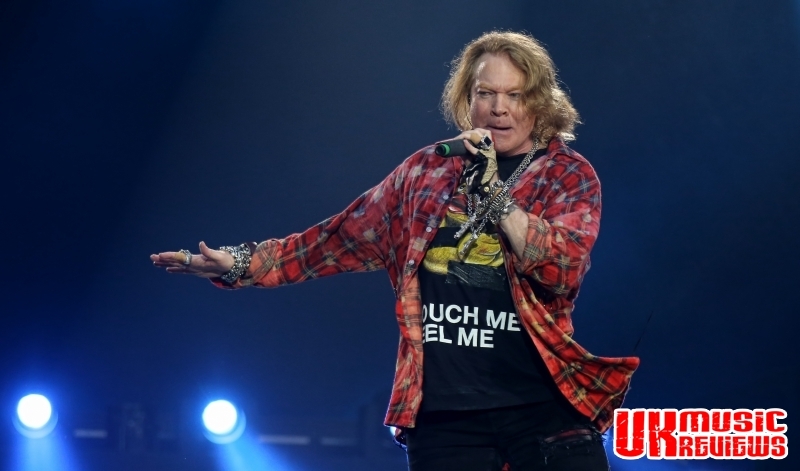 He was stepping in for Brian Johnson after the 68 year old was forced to pull out of the tour due to hearing problems after fronting the rock band for 36 years, and Rose did not disappoint. 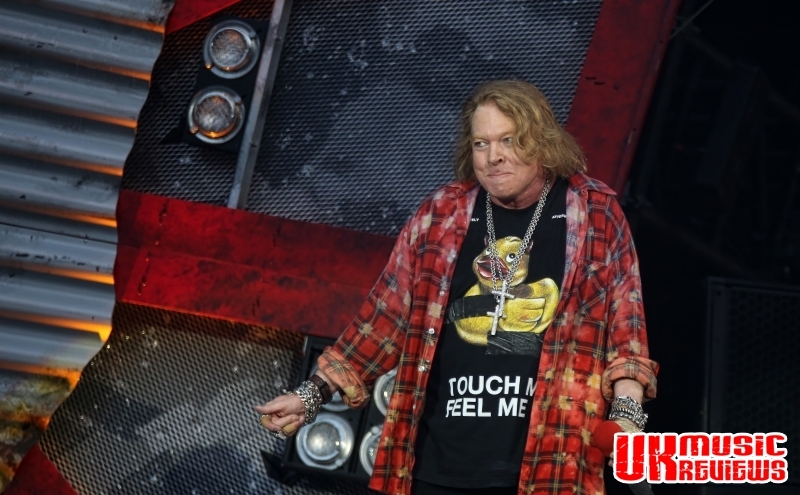 There were none of the tantrums and tears normally associated with the lead singer of Guns N’ Roses, just pure entertainment. 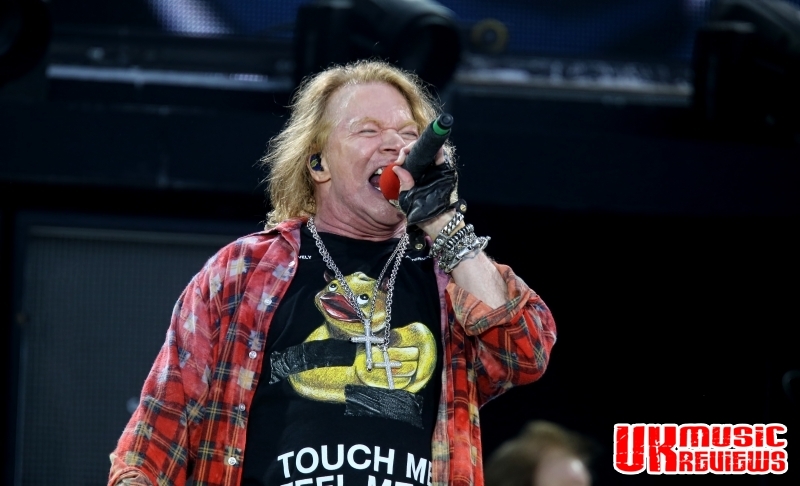 Axl Rose just nailed the songs. From Back In Black it was obvious that he can ‘do’ Johnno, but he follows it up with a searing Shoot To Thrill before a swaggering confident romp through Hell Ain’t A Bad Place To Be, showing that he can also ‘do’ Scott as well. Other Scott numbers went down really well, as he belted out Dirty Deeds Done Dirt Cheap and Shot Down In Flames. His voice was brilliant; no matter how high the note, he hit everyone and he kept it up for over two hours. 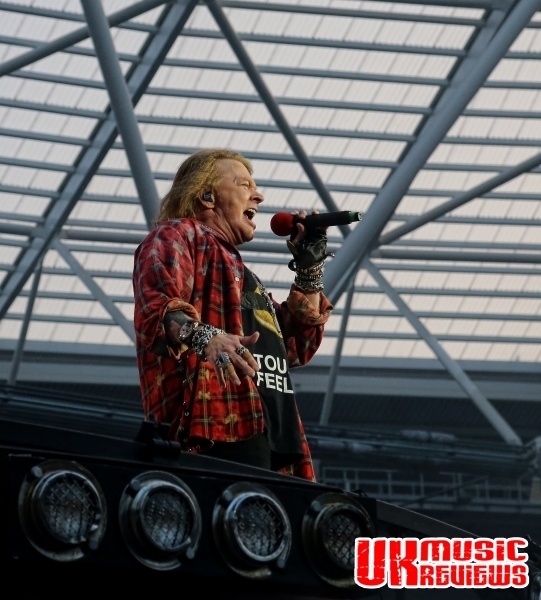 Songs that are rarely given an outing were included in the set list, such as Riff Raff, Rock ‘n’ Roll Damnation and If You Want Blood (You’ve Got It), and as the night went on it was clear that Axl was having a ball delivering them. Cracking jokes throughout the set and before You Shook Me All Night Long, he quipped about his fellow band members that “now you know what the Buckingham Palace guards do in their free time”. It helped that the set list is so well known by their loyal fans, that the whole concert becomes a huge karaoke party. There were mass singalongs to Thunderstruck and Hells Bells and when announcing Whole Lotta Rosie, there was a giant inflatable doll erected on stage. 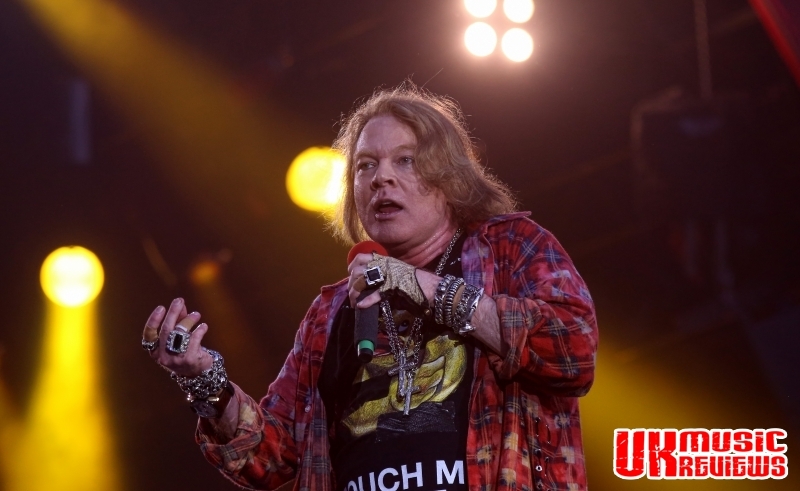 But it was not all about Axle Rose. 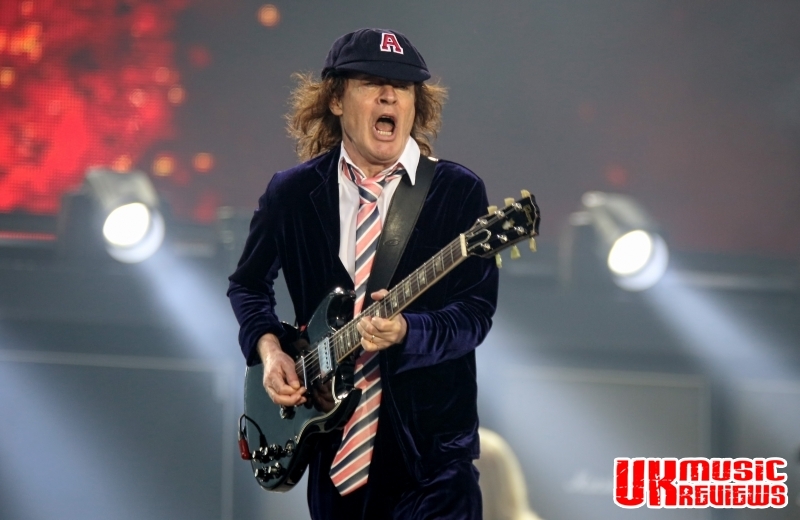 At 61 it seems that age has yet to affect guitarist Angus Young, who dressed in his trademark school uniform, jumping around the stage and performing his signature move, the duck walk. 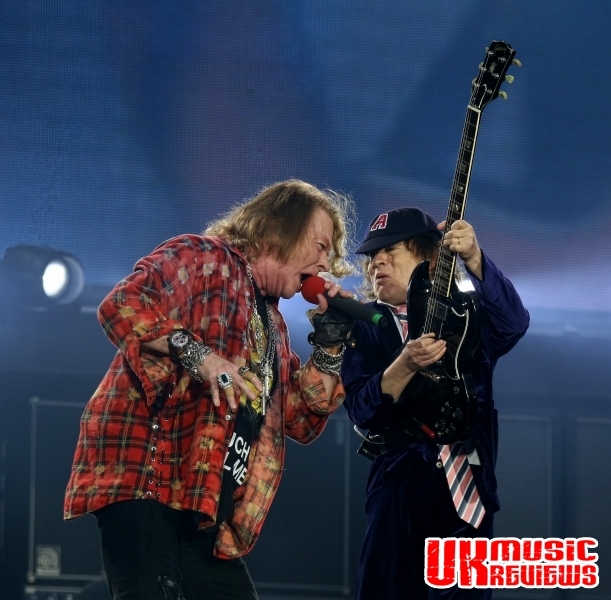 A particular highlight saw him perform an extended guitar solo at the end of Let There Be Rock, during which he was raised up in the air on a huge platform. Flames shot up from the stage as the band wrapped up the show with Highway To Hell before the canons appeared for the finale of For Those About To Rock (We Salute You), as a short firework display brought the evening to an end. 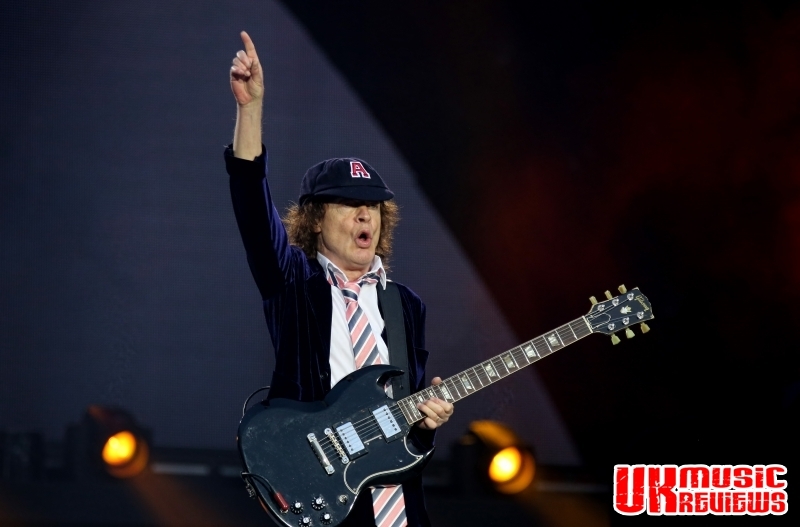 There can be no replacing Brian Johnson, he will always be Mr AC/DC. 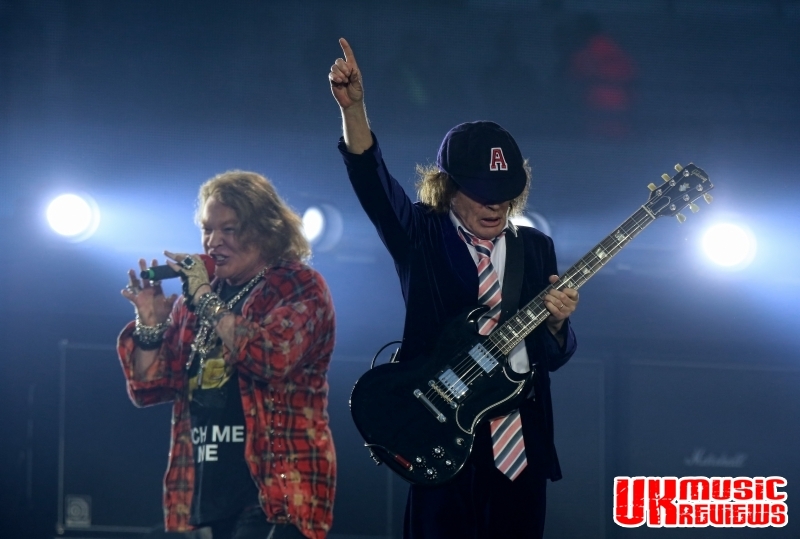 But with Axl Rose as the stand in front man, AC/DC sounded like AC/DC should; absolutely brilliant. 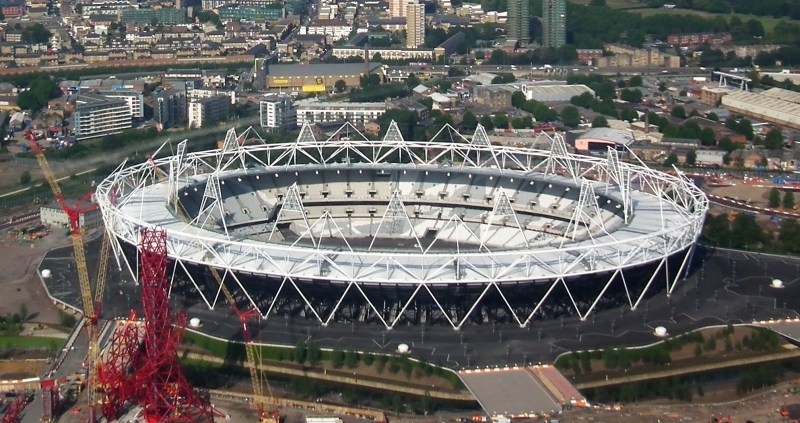 As for the venue; well that is a whole different story.